“For men, the bicycle, in the beginning was merely a new toy, another machine added to the long list of devices they already knew in their work and play. To women, however, it was a steed upon which they rode into a new world.” – Munsey’s Magazine, 1896. A hundred and twenty years has passed since the woman suffrage movement of the late 19th century. The actions of many women, such as Kate Sheppard, created a movement that led to New Zealand becoming the first self governing country to grant women the vote. The rest of the world gradually followed in the footsteps of the determined woman suffragists of New Zealand. In this post, I discuss how this societal change was enabled by the humble bicycle that we know, love, and use today. Bicycles arrived in New Zealand in the late 1860’s but early models – known as penny-farthings – were unsafe and difficult to ride due to their heavy iron frame and wooden wheels. While cycling was initially dominated by men, by the 1880’s improvements in technology meant that cycling became less dangerous and was increasingly an activity all genders could enjoy. In doing so, bicycles allowed women to escape from the family and the home. While cycling to the local park or visiting friends across town may not seem like much today, these were freedoms that had previously been denied to many women, at least without the accompaniment of men. 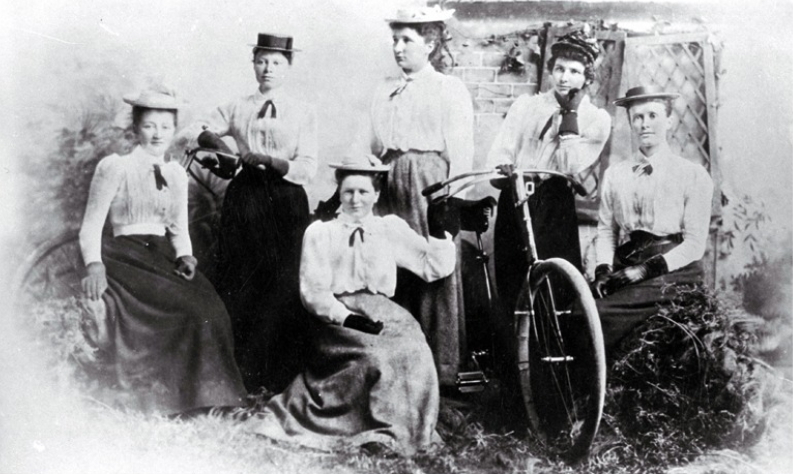 In 1892, the first all-women cycling club in Australasia was formed – The Atalanta Cycle Club. This club was located in Christchurch and boasted members like Kate Sheppard and dress reformer Alice Burn. They organised picnics, day trips and longer tours. Not everyone was pleased by these developments, however, with members of the club receiving verbal and physical abuse. On one occasion when members set off on a cycling excursion wearing knickerbockers, a practical garment promoted by dress reformers, they had stones hurled at them. Nonetheless, women persevered and continued to advocate for their rights. By participating in this club, women continued to use cycling as a way to liberate themselves both politically and socially, inspiring many people to support the campaign for a more equal country. Women’s cycle clubs became a symbol of freedom and emancipation. Women’s rights activist Susan B. Anthony says: “Bicycling has done more to emancipate women than anything else in the world…I stand and rejoice every time I see a woman ride by on a wheel …the picture of free, untrammeled womanhood.” By providing freedom through mobility, cycling provided women with an opportunity to organise and advocate for broader freedoms. At the time, rapid societal changes were starting to challenge narrow views of the 19th century in a diverse range of aspects – social, cultural and political. New opportunities for women were evolving in education, medicine, religion, and charitable works. Naturally, people’s attention soon turned to the issue of women’s legal and political rights. Women knew to have a voice they needed the vote, a say in the legislative process of New Zealand, we see their determination in a quote by Kate Sheppard ‘Do not think your single vote matters much. The rain that refreshes the parched ground is made of single drops’. By the late 19th century the suffrage campaign emerged in New Zealand and was in full swing. All over the country women began protesting and advocating for a movement towards women’s political rights. A movement led by Kate Sheppard and the Women’s Christian Temperance Union. The suffragists began the conversation of equal rights in politics, organising massive petitions collecting 9,000 signatures in 1891, 20,000 in 1892 and nearly 32,000 – almost one in four women by 1893. And what better way to collect these signatures than via bicycles! Suffragists cycled up and down the country collecting signatures for parliament and performing speeches empowering many to join the movement. 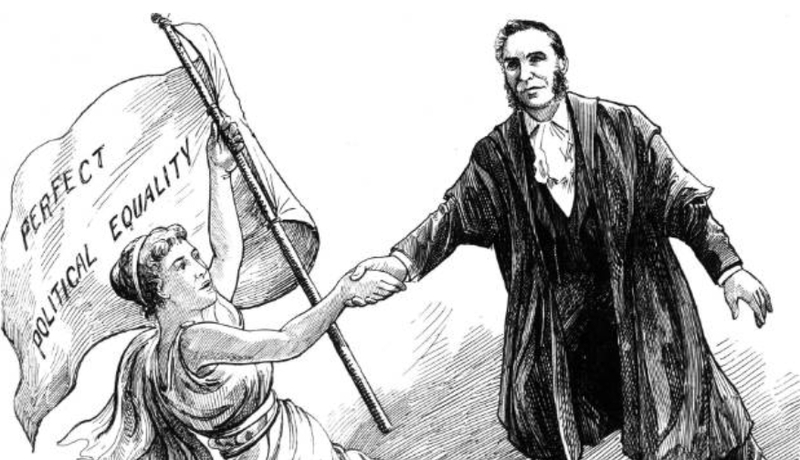 Finally, after many years of hard work by women suffragists fighting for political rights on the 19 September, Lord Glasgow signed a bill into law granting all New Zealand adult women rights to vote. Suffragists celebrated throughout the country, and congratulations poured in from suffrage campaigners in Britain, Australia, the United States and elsewhere. For women in many countries this gave them hope. 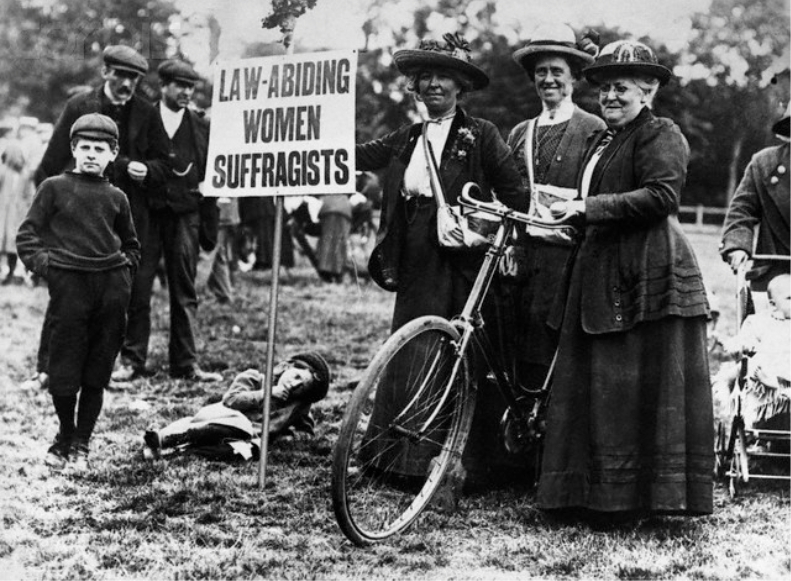 And just like New Zealand, suffragettes in other countries used the bicycle as an instrument for gaining political rights. The struggle for women’s voting rights was long and difficult and continues apace. We see battles for women’s equality still being fought all over the globe, for example in the fight for equal pay and the right for women to drive in countries like Saudi Arabia. While striving to address these issues, there is value in remembering the seismic changes that cycling enabled. In their own humble way, bicycles provided freedom and liberation that, in turn, supported further change. Today, as a teenager in Auckland cycling continues to empower people. With my bike I can cycle to school or struggle up the steep hills of my neighbourhood. At moments like these, when I’m huffing and puffing on my bicycle, I try to remember the work the 19th century women’s suffrage movement did to create the opportunity for the more free and just society I live in today. Through my bicycle, I identify with women like Kate Sheppard and pay my respects to the hard work, bravery and determination they possessed. So my suggestion to all women out there: Go outside, get on your bicycle, and celebrate the legacy the freedom of riding a bike has brought to us all! Great article! As a child in small town NZ my bike was the ultimate freedom, I could get to anywhere in town I wanted to without relying on my parents. Hopefully I’ll be able to see my daughters (currently 2 and a few months old) get the same freedom growing up in Auckland. My bike wasn’t just freedom; it enabled income as well. 120 newspapers delivered 6 days a week, rain or shine. I must have delivered a few trees’ worth of the Waikato Times. With the training I’ve done on conversations around climate change, I’ve realised that everyone is grieving, in some way or other, about what’s happening to our planet. I think that cycling gives a new sort of freedom in our strange crumbling civilisation: a freedom that right now, I’m part of the solution and not part of the problem. Combined with all the other psychological benefits of cycling (from fitness, being out there in the elements, socialising along the way, having control over travel times, etc) this is a powerful way to combat depression and function in a socially healthy way. It’s your day still, Bryan, and I hope your wife can benefit from a safe cycleway soon. Heidi so do I, we do live in Hope but with logging trucks every 5 mins doing 70kph unless they bring back railways I don’t think roads will ever be safe, we need a mind change and go back to what roads were paved for, which according to the Guardian was for the benefit of all. That was before the car and when all heavy freight went by rail and when we used to play football on the road with only the odd horse and cart to worry about, I wouldn’t swap my childhood for today’s,. plenty of fears then but nothing to compare to climate change. Wonderful post, thank you for writing this- will be on my daughter’s reading list tonight. Very interesting thanks. I’ve been trying to encourage my wife & daughters to cycle more. 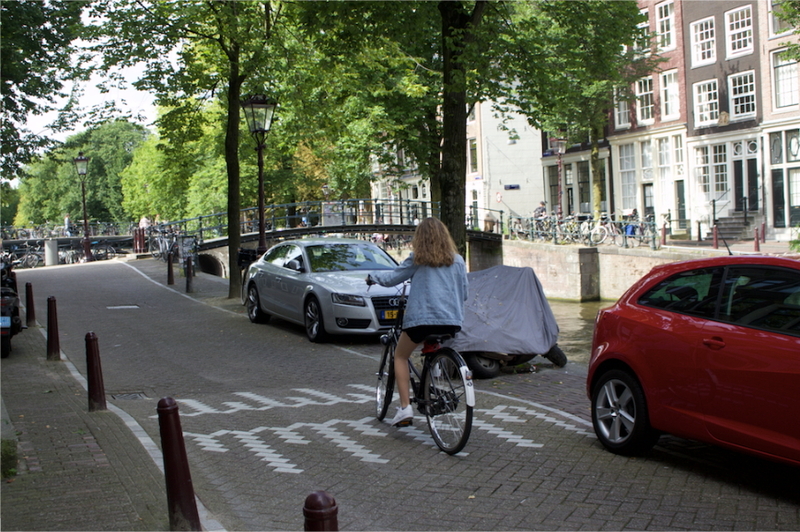 The car in the driveway is also there in the Netherlands, and it is not preventing cycling uptake over there. A better predictor is probably the amount of nearly-getting-dead experiences per month while cycling. Or maybe the amount of aggressive moves from car drivers around you. It really depends on where you’re living. If you’re in a place where cycling to work, or to the shops, etc. makes sense, than that bicycle becomes a barrier to driving. Unsafe infrastructure is a huge barrier, of course. And in a culture where cycling is established, the norm of hopping on the bike means you don’t have to overcome the norm of hopping into the car. But in our culture, I strongly believe that having the car in the driveway is another, considerable barrier. Amongst friends who have been working on encouraging mode shift for a decade, this is highlighted as important. Yes fear, lack of infrastructure, hills. I think getting an electric bike will make a big difference. Distance for specific trips is also another. One daughter is keener though will use the footpath. We live on a high point here so returning home is always up hill. I’m fitter and have a faster bike so find it ok, but need to get panniers & perhaps cargo or trailer equipment. Mine’s quite literally a barrier, I have to back the car out to get access to my bike! 🙂 Not uncommon! The bikes are often in the garage along with all the other stuff, and the car is often parked in a way that means you can’t open the garage door. Designing the place to make taking the bike out easily is actually really important. Or designing it in a way you can actually store a bicycle in the first place. My former apartment in the CBD has the funny property that it has car parks, but no secure bike parking. Some people would take their bicycle up in the elevator and chain it to the fence in the hallway. Sausage flat: same problem. I didn’t have a garage, but I eventually figured out my bicycle just fits in the little laundry room in the back. Yes I use mine for small trips and is important for me for daily exercise so I fit it by the front door in the lounge! We don’t have a proper garage so storing other bikes away from the weather is a bit of a problem. 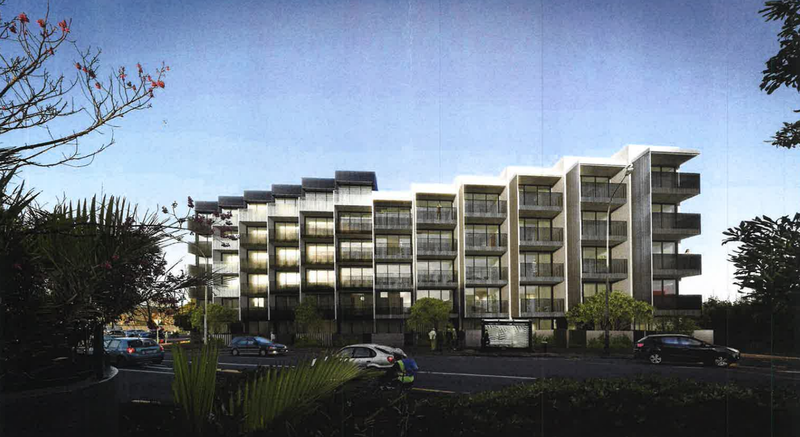 Yes, encouraging to see the new HNZ 62-apartment development in Pt Chev only has 17 carparks. Given its incredibly good location for public transport, and the fact that all the apartments are one-bedroom, this is all they need. But I’m looking forward to seeing some good bike infrastructure added too. Great article. 32,000 is a truly astonishing number of signatures given the population at the time! Nice post! Interesting aspect to how cycling played a part in so many woman organising so quickly. They got 1/4 of the women in the country to sign the petition. That would be like getting 500,000 signatures today. They also got 90% of women in nz to register to vote in 2 months. Funny note that the bill only passed because PM Seddon(who opposed the bill but voted for it to look good) pissed off two mps who were voting against the bill and they switched their vote a the last minute out of spite. Is that right? Politics is a giggle a minute, isn’t it? Brilliant love this. We always need to remember those who travelled the path before us to allow us to live the lives we have today. Thanks Lucy.